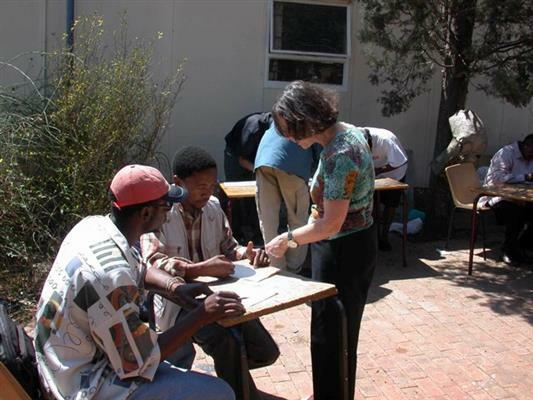 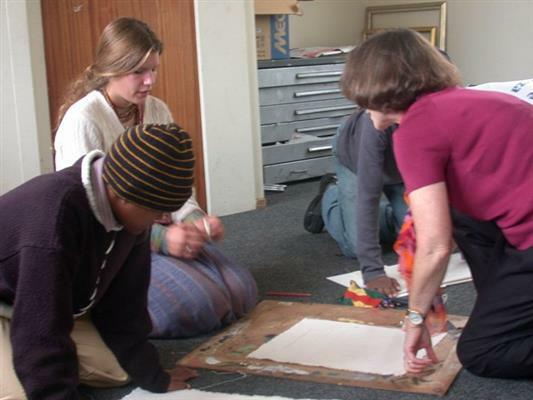 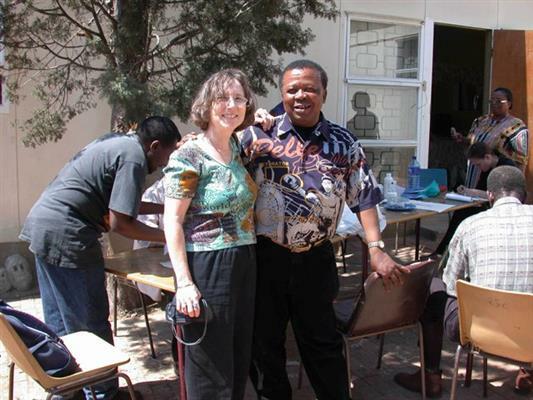 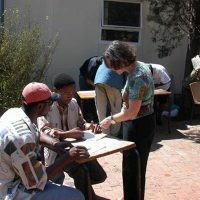 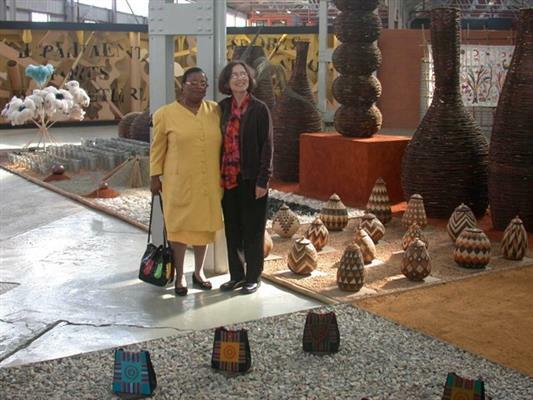 Fiber artist Laurie Wohl traveled to Johannesburg and Pretoria, South Africa for a week of cultural programming from September 12 through 21, 2003. 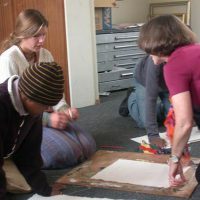 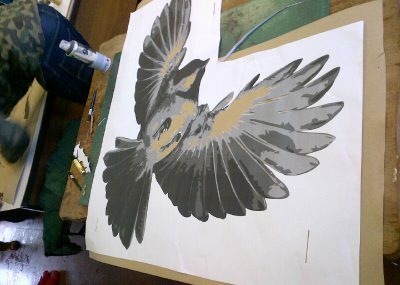 Her schedule was full and included visits to many local artist cooperatives, such as Tswaranagang Community Project. 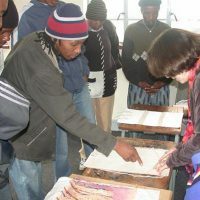 Wohl’s visit also comprised of meetings and hands-on workshops with students and teachers at Pretoria Technikon’s Art Department. 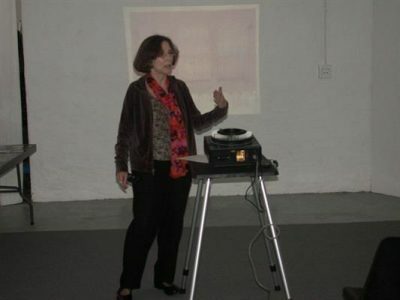 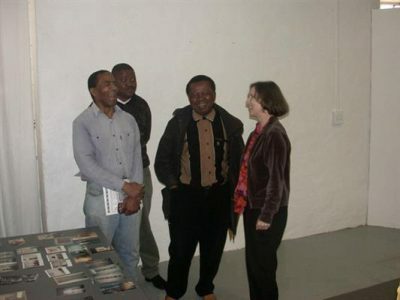 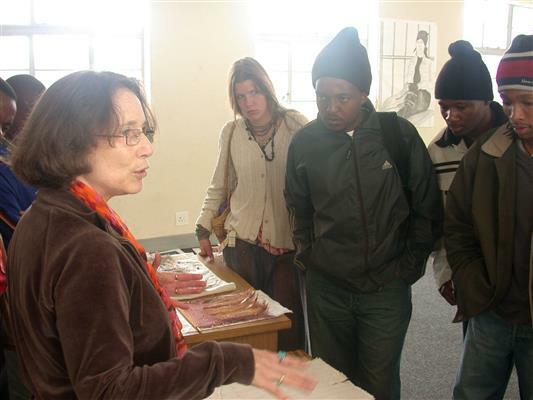 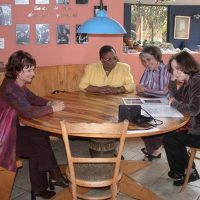 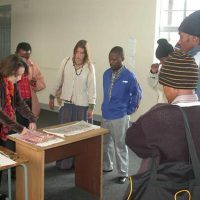 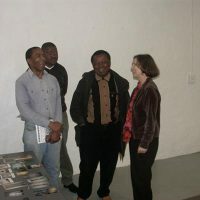 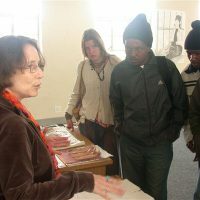 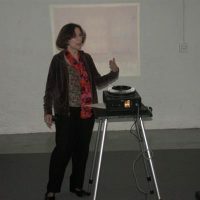 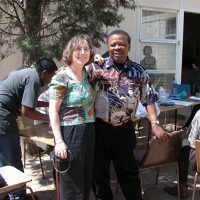 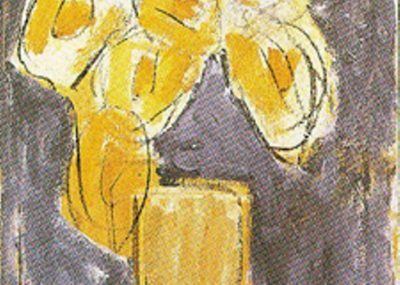 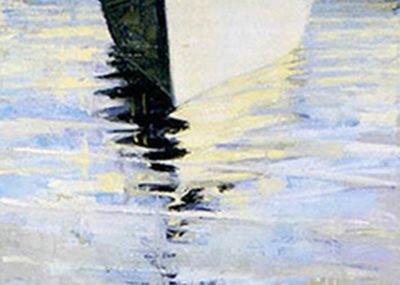 She gave multiple lectures during her visit, covering topics as diverse as commissioned work for artists and the role of art in the resistance to apartheid. 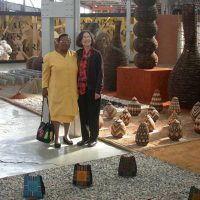 At the Tswaranagang Community Project, a women’s bead cooperative, Wohl found much in common with the artists during discussions of their materials. 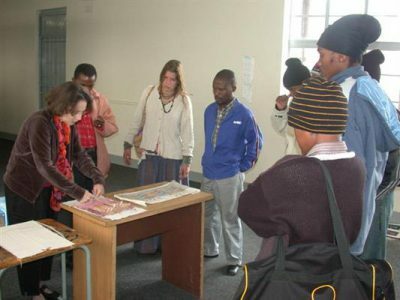 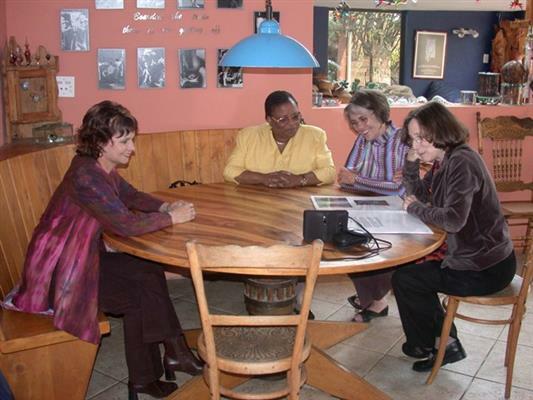 During this time she made connections with people on all levels of society, talked of collaboration with South African fiber artist Celia De Villiers and impressed people with her knowledge of the history and culture of the country.